This drug is composed of active drostanolone propionate substance. Has the same features that the testosterone, but has very little effect on the liver and the kidneys, not is toxic. After the couple injection felt the effects of this medication. It helps to relieve fatigue after exercise. It is often used in the preparation of the competition bodybuilders. Relief is given to the muscles, elasticity. Promotes rapid muscle augmentation (only with a diet rich in protein and high in calories), and consolidation of the results after the course. Is manifest in the blood during a maximum of 6 weeks, what is worth it penalty remember those athletes that is are preparing for a competition. Intervals of dosage of 200 to 600 mg per week. You can take 100 mg a day. It all depends on the physical form and the expected result. But in any case you can fold the dose, and the use of the drug after completion of the course remastril. 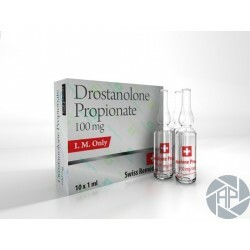 For starters, the remastril 100 dose varies from 50 to 100 mg per day (solo), the course has a duration of up to 6 weeks before you receive the medication should consult a physician, to avoid allergies and side effects such as the body of each individual. The drug is combined with the reception of such preparations: Turinabol, Trenacetat, enanthate of testosterone. It is not toxic to the liver and kidneys. Must stop of use with urine dark, or pain in the kidneys. Is necessary to drink liquids in abundance, to wash the kidney. Subject to all the rules and regulations for receiving necessary, the drug does not cause harm to the body. The appearance of side effects such as instability of blood pressure, headache, and mild dizziness may occur in a small portion. When the possible effects of the overdose as the color of yellow or brown urine, skin, eyes, yellow depression. Disorders of the gastrointestinal tract (nausea, vomiting, abdominal distention, abdominal pain). Also: swelling, increaseof weight, dizziness, headaches of head, itching, rashes skin, acne, bleeding. In addition, if you are a beginner, you must within three days after receiving the clock of their own health, and ate without side effects significant, sure of taking the medication. The same dose depends on of the result that is expected.